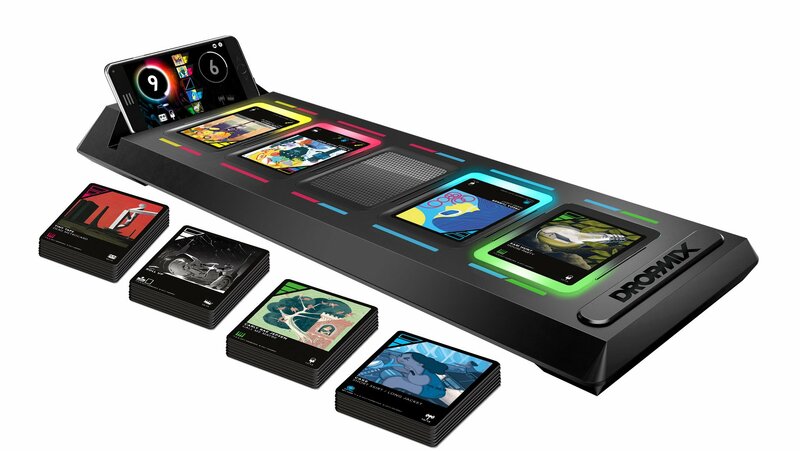 DropMix is a physical card game in which every card uses an NFC chip to interact with your smart device, and tasks players with remixing their favorite songs. 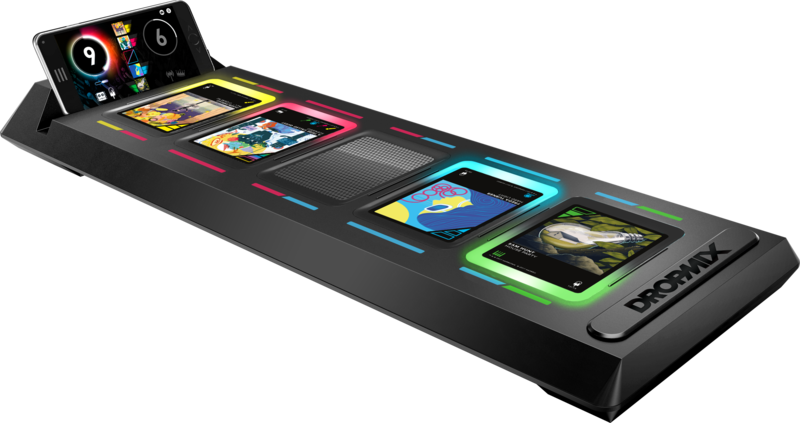 Harmonix, the developers behind rhythm series Rock Band have just announced their newest game: DropMix. 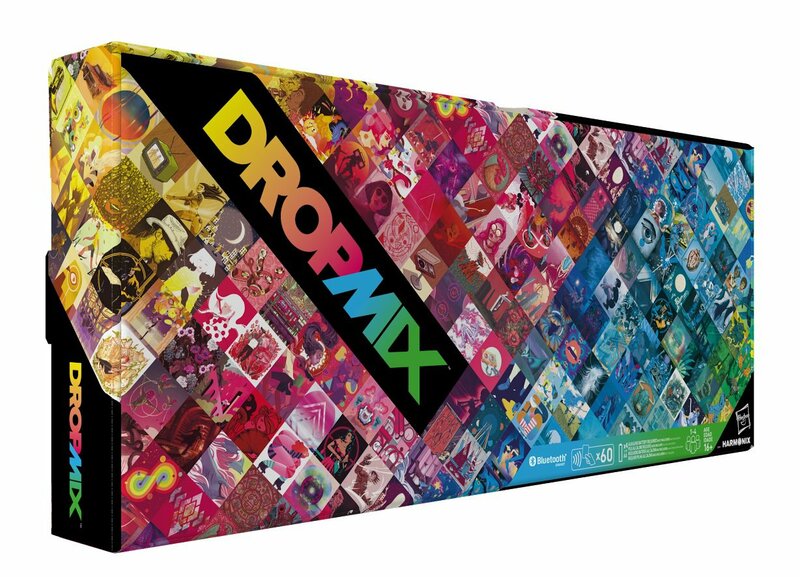 DropMix is something a little different from what we've seen of Harmonix. For starters, it's a physical card game, rather than a video game. 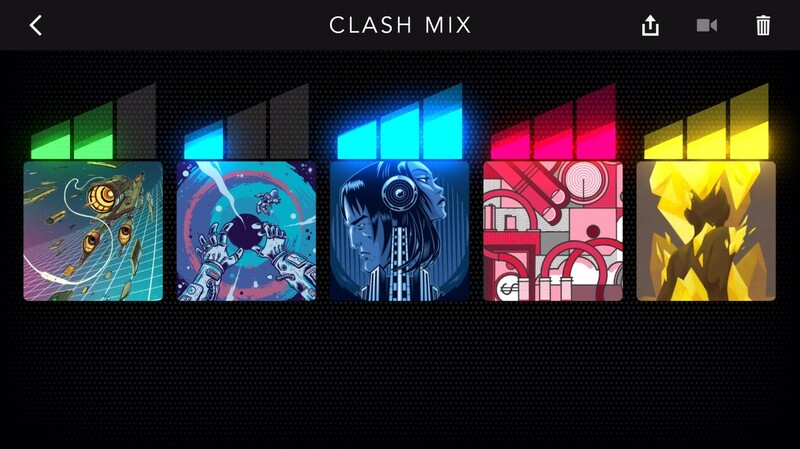 It uses NFC cards that interact with your smart device in order to produce remixes of your favorite songs. Here's how it works: you put your smart device into the little dock that comes with the game. Players then take turns putting cards into the slots on the dock, with each card producing a different effect. One card might just have the bass line to Meghan Trainor's "All About That Bass" or the "Ooh-wa-ah-ah-ahh" vocals to Disturbed's "Down with the Sickness". 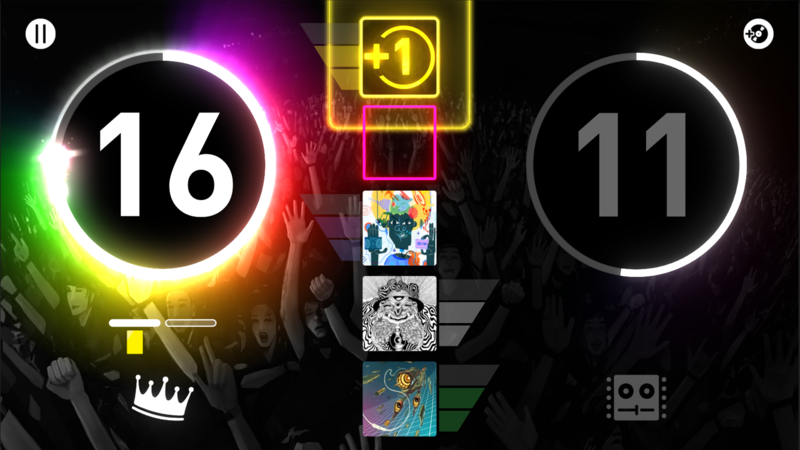 Different cards are worth different points, and the player with the highest scoring remix wins. 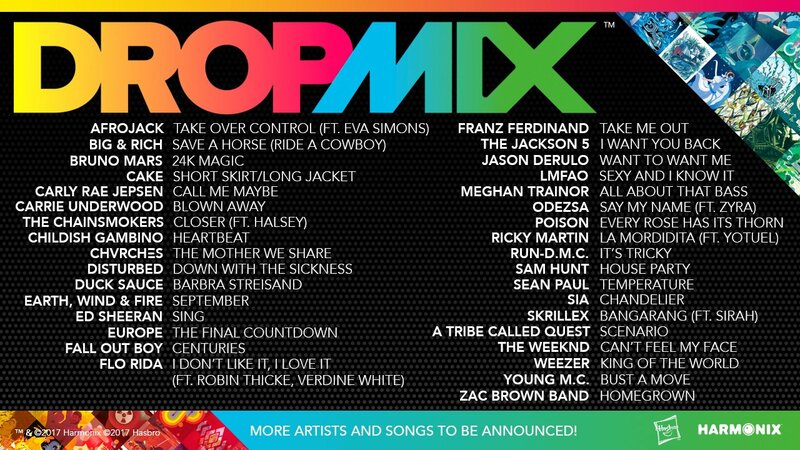 DropMix is being developed in conjunction with Hasbro games, and will release this September. It's priced at $100, and that comes with the board and the starter pack of 60 cards, many of which are songs in Rock Band 4. Later in the year, "booster packs" will be made available - 16 cards for $15 and 5 cards for $5. Hasbro says that a total of 300 cards will be released by the end of the year.